When you first log into Buffer dashboard, you can see your connected accounts on the left, along with the option to connect more accounts. This now includes a grayed-out button for connecting to Instagram. Clicking on that will open up the page listing the various social networks you can use with Buffer. The Instagram button is listed at the end. After clicking Connect, if you aren’t already logged into Instagram, you will be prompted to do so. Next you’ll be asked to grant Buffer access to your Instagram account. To do so, just click the Authorize button. Next you will be prompted to open up Buffer on your iOS or Android device, since it only works on the mobile app. 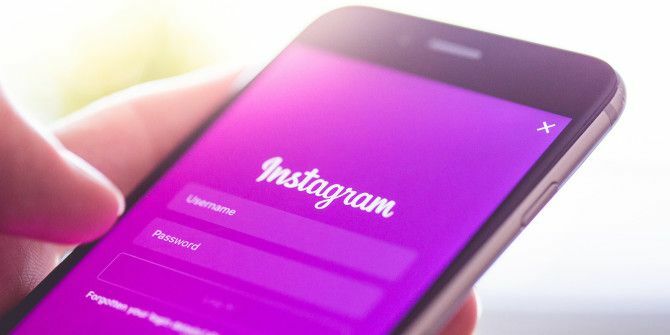 Open up Buffer on your Android or iOS device and log in with the same Buffer credentials and that should activate the Instagram connection. If this doesn’t work for you, tap your profile icon in the top left-hand corner of the app to open up the list of connected accounts. From here you can log into your Instagram account using the Buffer app. Now the big caveat here is that Buffer doesn’t actually schedule the Instagram post for you. Again, because of API restrictions, Buffer can’t post directly to Instagram. So instead, what it does is send you a reminder. You can upload, add a caption, and add the post to your Buffer schedule or schedule for a specific time. You can do this either from the mobile app or using Buffer in a desktop browser. Instead of actually posting it, Buffer will send you a reminder on your phone. If you tap that notification, it will open up a window prompting you to open up the update in Instagram. Tapping that will open up Instagram, where you can choose your filters (if any) and go through the usual steps to post a photo. You should, however, already find your caption filled in and ready to share. While this doesn’t give you the real benefit of being able to schedule a post and walk away from it like you do with other social networks, and not have to worry about actually being around to post it – it does allow you to compose Instagram updates from your computer. This means you are no longer restricted to just photos that are available from your phone, and that you can easily copy and paste saved hashtag lists that you might use with your photos. What do you think of Buffer’s new Instagram feature? Let us know in the comments. Explore more about: Buffer, Instagram. I personally use Later (formerly Latergramme) which genuinely schedules posts on Instagram and other photo-sharing sites. It is free for up to 30 posts each month.